There are so many schools of thought how to be in the Now emanating across the airwaves these days one does not really know who to believe or where to begin to find the most useful amongst them. I have tried many of them over my sixty years so I thought I would pass on a few I have found useful. This statement sums up pretty much what you can achieve in the daily practice of Calm Abiding meditation, a practice I did for 7 years, and which I have recently taken up again after a break of 5 years. I trained to become a meditation Teacher during those 7 years and look forward to using those skills again after my practice is established again. 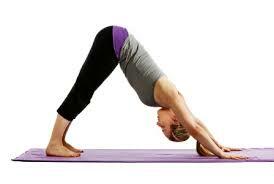 Hatha yoga describes the physical practice of yoga. In fact, sometimes the name Hatha is used interchangeably with “yoga.” The slow pace and simple breathing exercises make it a great place to learn basic poses and become comfortable on the mat. My breath cycle improved from 9 seconds to 44 while I was doing Yoga and only gave it up when I discovered the beauty of Tai Chi. Qigong, literally: “Life Energy Cultivation” is a practice of aligning body, breath, and mind for health, meditation, and martial arts training. With roots in Chinese medicine and Philosophy and martial arts, qigong is traditionally viewed as a practice to cultivate and balance qi (chi) or what has been translated as “life energy”. According to Daoist, Buddhist, and Confucian philosophy, respectively, qigong allows access to higher realms of awareness, awakens one’s “true nature”, and helps develop human potential. This noble practice has helped me regain my well being and is my current practice. 5Rhythms is a movement meditation practice devised by Gabrielle Roth in the late 1970s. It draws from indigenous and world traditions using tenets of shamanistic ecstatic, mystical and eastern philosophy. Fundamental to the practice is the idea that everything is energy, and moves in waves, patterns and rhythms. Gabrielle describes the practice as a soul journey, and says that by moving the body, releasing the heart, and freeing the mind, one can connect to the essence of the soul, the source of inspiration in which an individual has unlimited possibility and potential. 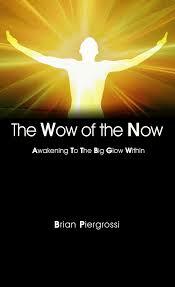 Getting back to this has allowed me to free my body and be much more present in the Now of my body. Brian Johnson made mega dollars in the I.T. industry then went to Bali and read all the great books. His gift to the world is he can summarise them beautifully. PhilosophersNotes are like healthy, energizing snacks for the mind, heart and soul! This is such a superb idea, and Brian has such a natural, infectiously appealing way of making it relevant to just about everybody. For avid personal-development aficionados, Philosophers Notes serve as a sampler plate of the very best reads out there, making it easier to decide which new books to crack open next, and which classics deserve a fresh look. We forget that Gaia has been gifted to remind us that we are all part of the greater plan. A weekend away from the chaos of the city in a forest , or near a beach or river restores our sense of Now. Leaving your phone, computer and work behind for this period has us focus on things like trees, animals and the fresh air that these places are filled with. Supermarkets are not even 100 years old, how did humans get their food prior to the existence of what is now the major supplier of Food for the human race. We grew our own and prepared and cooked it ourselves or brought it from our local producers. The joy of planting you own vegetables and having your own chickens is immeasurable and making your own meals from fresh, non toxic produce bought from a local farmers market is so good for your health. 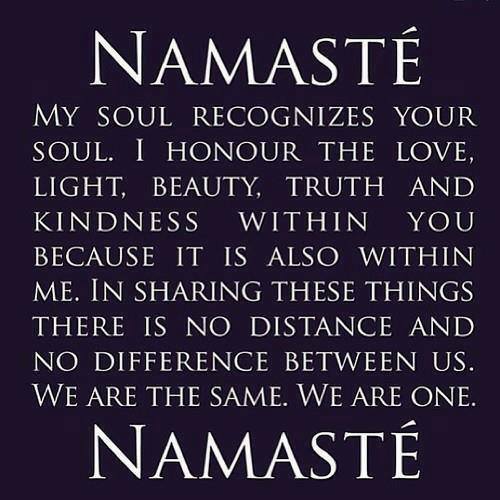 Well, I hope this has helped you a little, Namaste until next time my Friends. This entry was posted in Achievement, Australia, CERES, Dance, Empowerment, Enrealment, Europe, free humanity, freedom, Gabrielle Roth, heart, Humanity, Insights, Inspiration, kindness, Life shifting, Lists, Love, Mastin Kipp, Melbourne, Organics, Tai Chi, the pledge, The Tribe, Thea Westra, TheDailyLove, Transformation, yoga and tagged Achievment, asylum seekers, Australia, beagles, books, Dance, Danielle La Porte, Dignity, Earth, eckhart tolle, End Hunger, enrealment, environment, Europe, food, free humanity, healthy eating, Heart, Hope, Insights, Inspiration, letters, Life Shifting, Lists, Love, Mastin Kipp, Melbourne, Menergy, Midway, organics, Russia, Self Empowerment, Tai Chi, The Daily Love, Thea Westra, Transformation, United States, Yoga by rodwill1707. Bookmark the permalink.